hope you are fine and you had a beautiful weekend! And finally - Spring/ Summer! At last springtime has caught us up again and beautiful sunbeams sweeten our day. Corresponding I would like to present you a summerly look that you can wear both during the day and in the evenings at a party outdoors. The white jump suit is the highlight of the whole outfit. I was attracted at once by the cutout detail at the back. It adds a sophisticated touch that is captured again by the black high heel sandals and the black leather clutch. 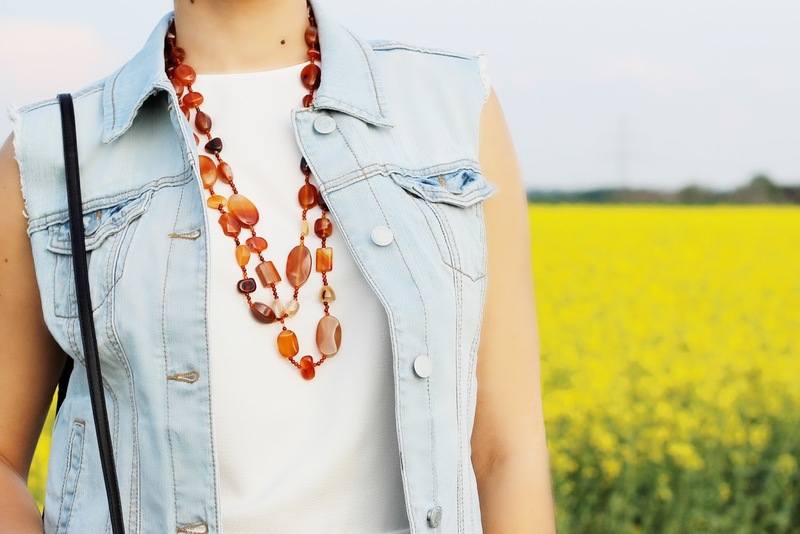 The jeans vest eases that elegant look. Ready to go out?